I love love love love Jasper Fforde. I'm constantly recommending him to people. Oh goodie. I am totally looking forward to this book! Thanks for letting me know it is out there. Yes, yes, and yes! 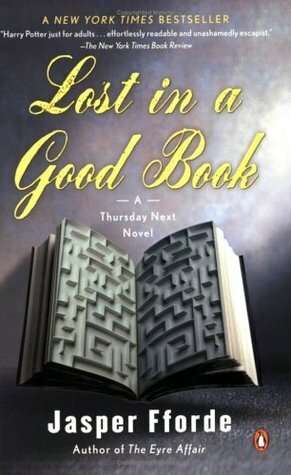 My favorite of his books is The Well of Lost Plots 'cause I think Fforde takes originality to a whole new level in that one. I think I might need a one-on-one talky session with one bibliomaniac concerning whatever it is you're talking about up their in your review. I'm thoroughly intrigued and insist that you force me to read one of these books, stooping as low as extortion and kidnapping (your own children, of course) if the situation requires.